CHARLOTTE AMALIE, St Thomas, USVI - Coast Guard rescue crews ended their search for a MSC Seaside crew member at 8 P.M. Wednesday, May 16, 2018, approximately 8 nautical miles southeast of St Thomas, the Coast Guard said in a release issued Thursday afternoon. Missing is Michael M. Majaba, 37, of the Philippines. Majaba reportedly went overboard from the seventh deck of the Maltese-flagged cruise ship at approximately 1:00 A.M. Wednesday. 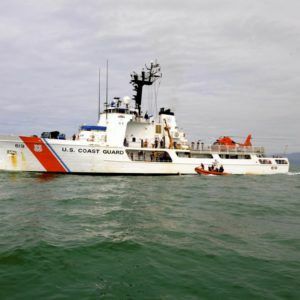 The cruise ship crew launched a search and contacted watchstanders at the Coast Guard Sector San Juan Command Center at approximately 4:00 A.M. alerting them of the situation. Coast Guard rescue crews comprised of a C-130 aircraft from Air Station Clearwater, two MH-65 Dolphin helicopters from Air Station Borinquen, a 33-foot Special Purpose Craft–Law Enforcement response boat from Boat Forces Saint Thomas and the Coast Guard Cutter Confidence conducted five air and three surface searches covering an area of approximately 1,216 square nautical miles. "Our thoughts and prayers are with family and friends of Majaba and the MSC Seaside crew during this difficult time,” said Captain Eric King, Sector San Juan commander. The Motor Tanker Rose and the Carnival Glory cruise ship also assisted the MSC Seaside in the search for Majaba. The cruise ship was transiting from the Caribbean Island of St Maarten to San Juan, Puerto Rico when the incident took place. The Confidence is a 210-foot Medium Endurance Cutter homeported in Port Canaveral Fla.